Our committment to you is exclusive. Unlike many of our competitors that focus on 'volume' and 'market share,' we focus on each client—and each engagment—one at a time, providing you with the individualized attention that you deserve. Morever, we will only work with one client per bid opportunity: we do not provide consultative support to multiple clients pursueing the same contract opportunity. Your Business Interests are Protected. Proprietary information ... trade secrets ... company financials & pricing strategies ... At BluEdge, we understand how vitally important your business interests are, that's why your relationship with us—and the details of ever engagement—is protected under a non-disclosure agreement. We never disclose who our clients are to others—period. BluEdge was created primarilly to support the small and mid-tier business communities. Although we occasionally provide support to large busineses, we understand that many of our clients can't afford to maintain full-time BD, Capture, and Proposal personnel. BluEdge provides a very cost effective alternative—providing expert-level resources only when you need them, and only for as long as you need them. At BluEdge, we appreciate your B&P constaints. Most of our BD, Capture, and Proposal support personnel have current, high level security clearances. Not all RFPs are classified, but when you need to develop a classified proposal response, we're ready to help! BluEdge can also provide access to secure, customer-accredited facilities equipped with everything needed to develop, bind, and box your classified proposals. Budget cuts, acquisitions uncertainty, sequestration, furloughs ... at BluEdge, we're keenly aware of the Darwinian nature of today's Federal Contracting Industry; we understand that times are tight—and so are B&P budgets. We're here to help! Our rigorous screening process means that we concentrate on providing you with the very best BD, Capture, and Proposal Support professionals available today, at reasonable rates, all of whom have adopted our committment to provide you with professional, reliable, and consistent support. We're "in it to WIN it"—because we know you are too! 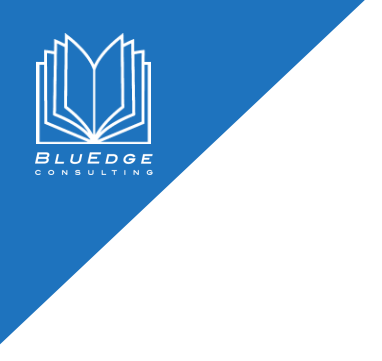 Based in the Washington, DC metro area, BluEdge Consulting provides business development, capture management, and proposal support services for small and mid-tier firms bidding for federal contracts.